A dream doesn't become reality through magic; it takes sweat, determination and hard work. Life has no limitations, except the ones you make for yourself. Obstacles are visible only when you take your eye off the goal. So, I firmly believe one must shoot for the moon because even if you miss it, you will land among the stars. When I think of education I think of Lord Buddha, Lord Krishna and Swami Vivekananda. Then, when I think of the power of education, I think of late A.P.J Abdul Kalam, Michelle Obama and Malala Yousafzai. Our culture is embedded with thousands of examples of good and wholesome education leading to a victorious end. Established in 2011, CMS Gomti Nagar Campus II aims at creating an environment where children develop wings and peruse self learning. 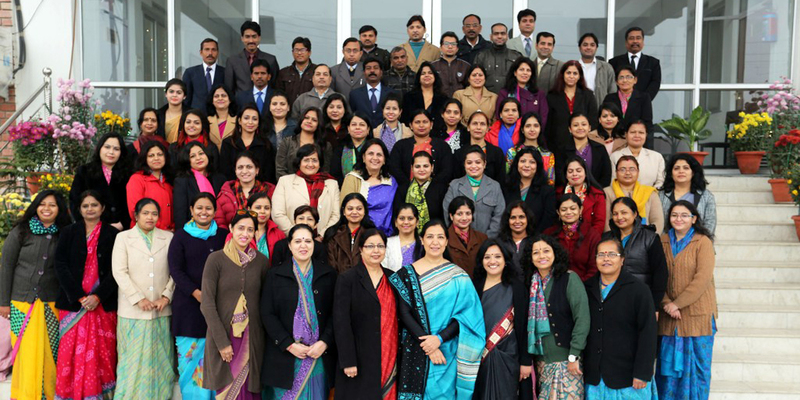 City Montessori School has been imparting quality Global Education through its 18 campuses. Guided by the vision of our founders Dr. Jagdish Gandhi & Dr. Mrs Bharti Gandhi, CMS inspires to nurture thoughtful and proactive world citizens and leaders committed to the service of humanity. The youngest member of the CMS family, the Gomti Nagar Campus II strives to make the educative process participative and enjoyable. 1/7 Vardhan Khand, Phase II, Gomtinagar, Lucknow. Serving as a Principal for the last 36 years I have strongly believed and worked with a mission to prepare students and teachers who are Global Citizens. Each child is different and one should offer students academic challenges that are deep and relevant. 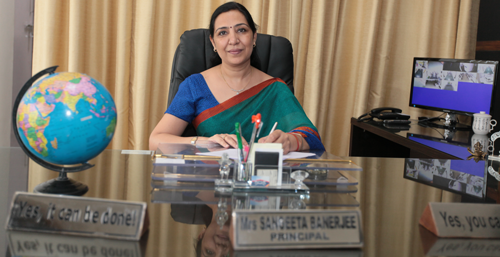 With experienced and dedicated teachers and state of the art infrastructure, our school is a centre of excellence to educate the child’s whole being. The successful and progressive results not only in academics but also in extra curricular activities, re-affirm that we are striding in the right direction. We see every child for the hope that they are. So, we put forth our best to imbibe in every child treasures of high moral value and ethics like honesty, perseverance, humility and hard work. At CMS we give them varied platforms to voice their opinions on important social issues, showcase their talents and have discussions with other students and experts to widen their horizons. Our aim is to provide a pragmatic environment offering a healthy array of extracurricular programmes. Yesterday is but today's memory, and tomorrow is today's dream. So, I hope as every child at CMS pursue his dreams he remains intrepid, limitless and use his talent and creativity along with knowledge to create the world as it should be. Last but not the least, with utmost pleasure I would like to inform that CMS Cambridge section is shaping beautifully. This year we have introduced grade 4 and grade 9. Students are learning through international models with an Indian perspective. I take this opportunity to thank our Founder-Manager, Dr Jagdish Gandhi and Founder-Director, Dr Bharti Gandhi for their unsparing guidance. I extend my gratitude for the encouragement and motivation we garner from our highly revered and admired President, Prof Geeta Gandhi Kingdon, Director Strategy, Mr Roshan Gandhi Forouhi and Superior Principal & Head, QAID Mrs Susmita Basu. "If you want to touch the past, touch a rock. If you want to touch the present, touch a flower. If you want to touch the future, touch a child." I am ecstatic and proud of our first ISC batch results. 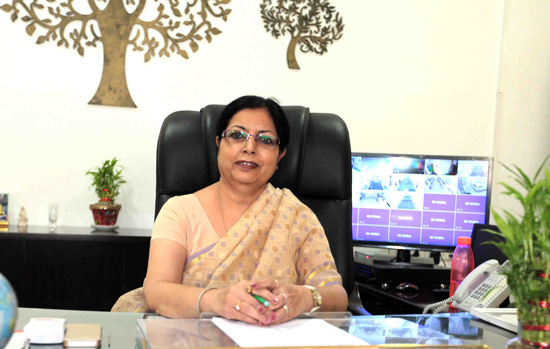 Out of 90 students, who appeared for their ISC Board Examinations, 24 students scored 90% and above. Arpit Goyal, a brilliant student, scored 97.4%, the highest in the Campus. 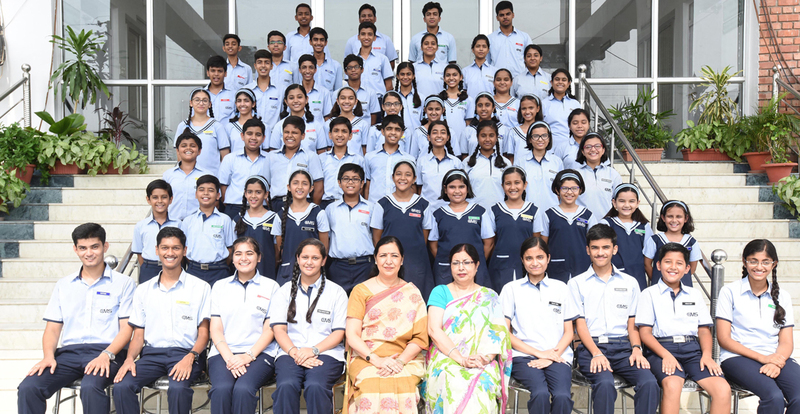 The ICSE result brought with it well deserved celebrations as it showed an increment in the percentage of students scoring 90% and above. This year out of 132 students, who appeared for the examination, 56 students secured 90% and above. Kudos to our teachers, students and most importantly parents who have equally co-operated with us to make our Board Examinations result a success story. Our faculty and students work on International Environment Olympiad projects to create an awareness towards environmental issues. The Junior Youth Empowerment Programme running in our school empowers our young students by helping them to contribute to society through service. All sections of students carry out service projects like Soles for Souls and visiting Old age homes, Orphanages, etc. 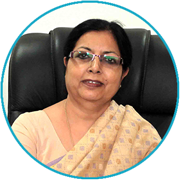 I fall short of words to express my gratitude when I think of Ma’am Batra. 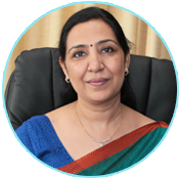 Her stellar guidance and support is shaping CMS Gomti Nagar II to be the branch it has become. I feel privileged to be on the receiving end of immense love, encouragement and motivation bestowed by our Founder Manager, Dr Jagdish Gandhi and Founder Director, Dr Bharti Gandhi. I also acknowledge and thank from the bottom of my heart President, Prof Geeta Gandhi Kingdon, Director of Strategy, Mr Roshan Gandhi Forouhi and Superior Principal & Head, QAID Mrs Susmita Basu, for their untiring support and innovation in making the CMS family abreast with the ever changing times. Equipped with state of the art infrastructure like well equipped science and math laboratories, teaching at CMS GNII is supported by updated technology. Teachers and students have access to computers, Interactive white boards and multimedia rich content inside the classroom. A spacious auditorium with a seating capacity of 3500 people makes available ample multi activity space for children. The oratory skills of the students were developed through the different assemblies and the model class presentations. True sportsmanship is an art which can be nurtured in these early years and at the campus we kept the children busy by engaging them in different inter house activities like chess competitions, table tennis matches etc. Though we strive towards making the children high achievers but we remain committed to give to the world the citizens of tomorrow who are compassionate and caring for a united and peaceful world.